Get your event online quickly and easily. Start taking signups today! You'll be selling tickets online in no time! Control the pricing and much more from an easy-to-use web interface. 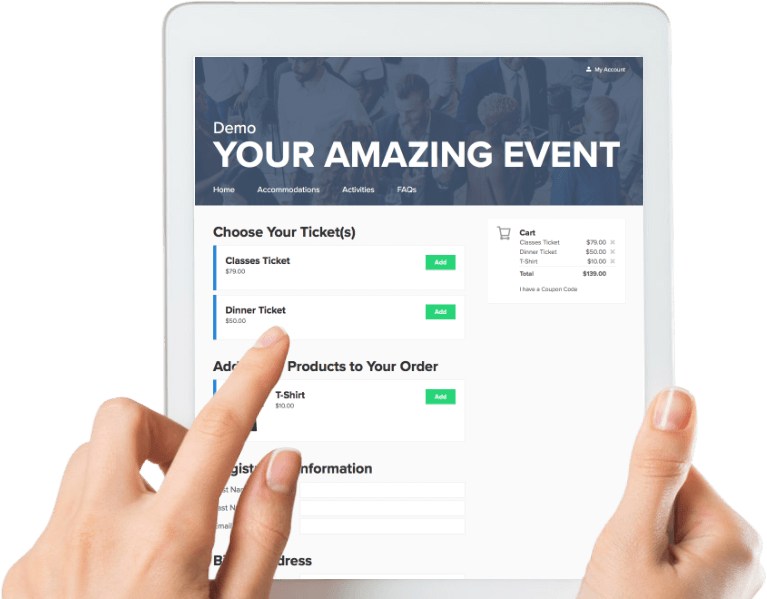 The EventLeap system allows you to manage your registration site including custom pages and designs to match your brand. Now customers can purchase your tickets and the money will be automatically transferred to your own bank account. "We used to take registrations by fax and had enough! EventLeap was so easy to get up and running. They gave us all the tools we needed to manage our event and our customers love it too!" Discover how easy is it to start taking online registrations.